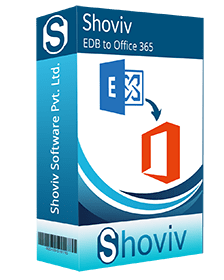 Shoviv import EDB to Office 365 tool is an ideal solution which helps to migrate EDB to Office 365 and PST along with other formats. The tool has been created with specialized features which also enable it to export EDB files into EML, HTML and MSG formats whenever you want. In case you want to import EDB to Office 365 urgently, this is the ideal solution for you. The tool has been created to safely import EDB to Office 365, Live Exchange and PST etc. The tool comes packed with some of the most unique and powerful features. *Free Download allows to convert & save 25 items/folder from EDB to PST Converter. 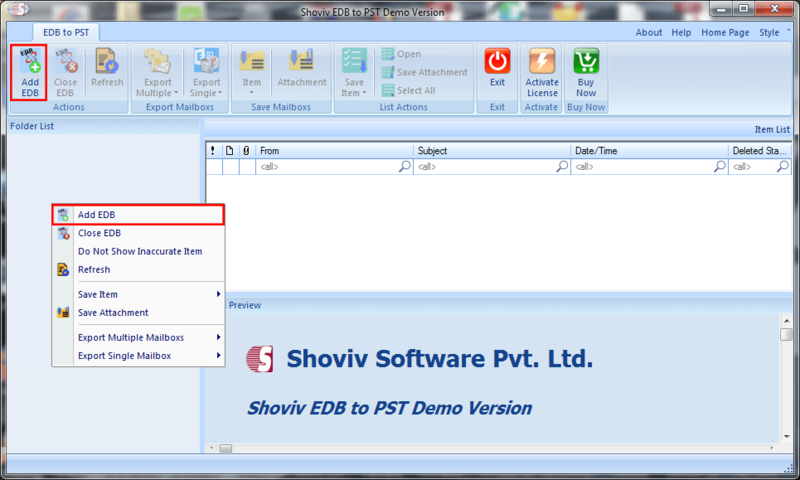 Shoviv EDB to PST converter GUI seems a great help to me. Easy to understand functions and quick conversion for EDB to PST. There is no extra assistance required. Took a software trial to test the functionalities and it does what it says. The features are outstanding and very useful. Had a deep analysis and finally bought it. 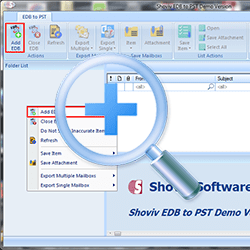 Successfully recovered my EDB file using Shoviv EDB to PST converter and restored EDB data to Exchange 2016. This software migrate entire EDB to Exchange server in few clicks. 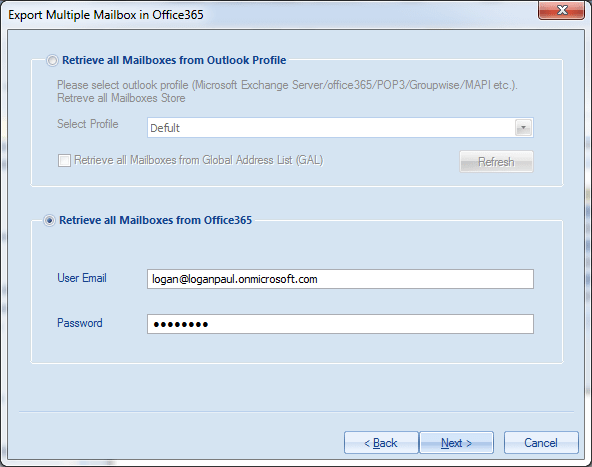 Now you can easily import EDB to Office 365 mailboxes in just a few steps. 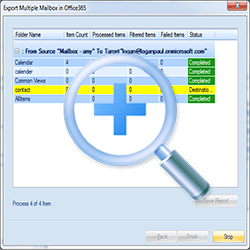 The tool allows you to map both EDB and Office 365 mailboxes manually and automatically. 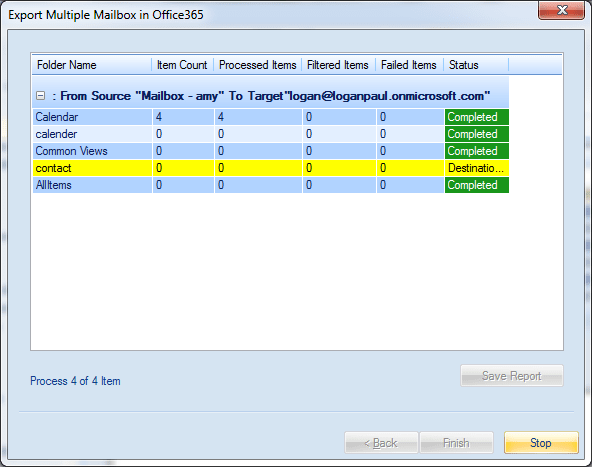 You can also migrate EDB to Office 365 archive mailbox and public folder with no effort. The tool guides you throughout the migration process. The file structure of your Exchange Database (EDB)is not altered at any point of time. If you want to recover EDB files, you can immediately preview recovered EDB file mailboxes, folders and items along with attributes related to the email items. You can preview the recovered EDB after the recovery. You can also view EDB items before migration to other formats. You can now import EDB to Live exchange mailboxes in just a few steps. The tool guides you to automatically or manually map EDB to Live exchange mailboxes. You can also filter the export items according to your preference. 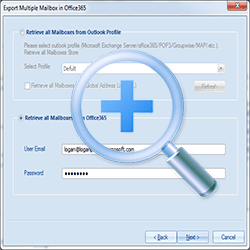 Further it allows to migrate EDB to Live Exchange archive mailbox as well as public folder. 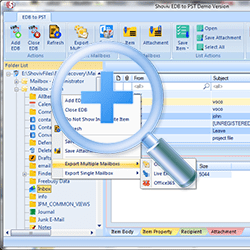 This tool specializes in EDB to PST migration. You are guided through each step as the tool scans the inaccessible exchange mailboxes. You can then recover them and convert from EDB to PST quickly with little effort. You get to recover EDB mailboxes with little effort and the tool provide you access to load multiple EDB files so that you can recover corrupt EDB files and then convert them to your desired format like PST outlook. You get to scan EDB file in the quickest possible manner and gives you a preview of EDB mailboxes in an organized manner. You can view the folder hierarchy of that scanned mailbox and ensure that your migration goes on swiftly. You can now ensure that the folder hierarchy of your email mailbox will be preserved. 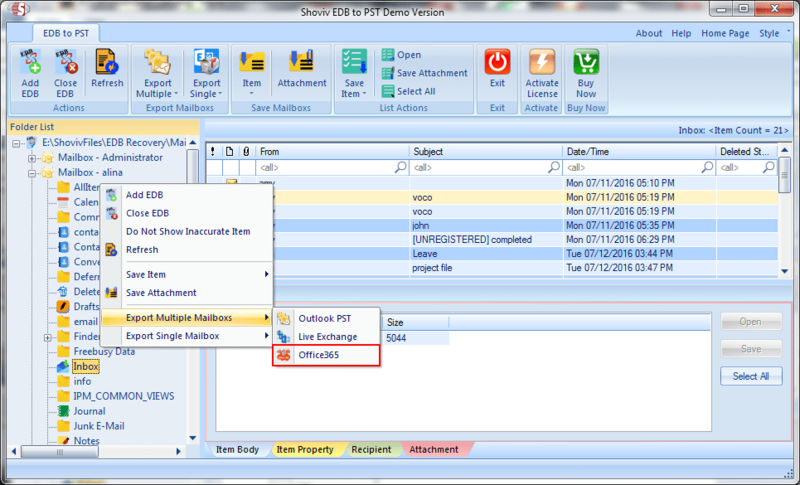 The tool does not disturb or modify the folder structure of your EDB mailbox. This also ensures that you are not going to misplace or modify any folders during export. This EDB to PST converter offers the ability to filter EDB folder items according to different criteria. You can filter items by date range, message type while you Import EDB to Office 365, PST and Exchange. This feature also allows you to gain total control over your export process.